Quincy is a small and typically paysan village serviced by a single lousy bar and a boulangerie with little else (apart from the obvious opportunity to taste with growers) to attract the casual visitor. In fact one wonders why, when the appellation was created in 1936, that it wasn’t christened after the neighbouring commune of Brinay which at least exudes some character and draws in tourists who come to admire the 12th Century frescos in its pretty little church. Situated some twenty kilometres north-west of the city of Bourges, the vineyards of Quincy are farmed (as in neighbouring Reuilly) mostly by vigneron-agriculteurs; at just 240 hectares in size it’s interesting to note that the appellation is smaller than the majority of the farms owned by the individual céréaliers. Improvements in quality over the past two decades come down to the pioneering spirit of the likes of Jean Tatin who encouraged the planting of better quality vineyard material and was instrumental in establishing one of the two co-operation cellars that vinify a sizeable proportion of the appellation. Whilst you may recognise the name of Jean Tatin (or indeed the name of his wife, Chantal Wilk) one is probably more likely to have encountered their wines by the three separate domaines they have created; in Quincy, Domaine du Tremblay and Domaines des Ballandors and, more recently, Les Demoiselles Tatin in Reuilly. Domaine du Tremblay is the ancestral home of the Tatins. The 18th Century Berrichone manor came into the family in 1873 when it was purchased as a 200 hectare-plus cereal farm, although the name of the property has its origins in the Middle Ages when it was under the control of the Duc de Berry. It passed to the current line of Tatins via Jean’s uncle in 1947. Jean inherited the farm from his father in the late 1980s. He had studied agricultural sciences and has a degree in rural sociology from the Institut National Agronomique Paris-Grignon, which is where he met his wife who was studying to become an educational engineer. Chantel herself comes from Polish stock (the name Wilk means wolf in Polish), her father arriving in Paris in 1921. After twenty years of studying and working together in Paris, the couple returned to Tremblay and set about turning the farm’s direction of arable farming to viticulture, planting their first six hectares in 1989. Any sense of wine culture within Jean’s family actually comes from the maternal line. His grandmother kept a small vineyard in Preuilly (where Jacques was born) until she was well into her eighties. The origins of his paternal line have been lost through the many Tatins who inhabit the Berry (not least the famous sisters who created the eponymous tarte at their family run hotel in the Sologne, 50 kilometres further north), although he believes his ancestors were originally farmers and loggers in nearby Issoudun. During the early of years the 1990s, as the couple waited for the vines to come into production, Chantal put herself through a viticultural course with the intention of setting up her own label alongside that of Jean. Their first vintage was in 1993 and together, they are founder members of the Cave Romane at Brinay, which is where the majority of the Quincy wines are vinified. The original six hectares planted was in the lieu-dit of Le Pressoir, close to the Château de Brinay and believed to be one of the oldest (and best sited) vineyards in the appellation. Today, they have built their total holdings up to 25 hectares, which incorporates 3ha of vines rented from the porcelain magnate, Philippe Deshoulières (producers of porcelain since 1826), in Les Rimonets. This vineyard area is split into 12 hectares of Sauvignon (across the two appellations), 2.6ha of Pinot Noir and seven ares of Pinot Gris. There are three separate Quincys produced from ten hectares of vines planted in the lieux-dits of Les Rimonets, Coudereaux, Chaumoux, Gatebourse, Les Nouzats and Le Buisson Pouilleux. The generic wine is responsible for around 40,000 bottles a year, whilst the Vieilles Vignes cuvée comes from the older vines (90% are between 35 and 50 years old) in Gatebourse, Les Nounats, Chamoux and Coudereaux; this produces around 15,000 bottles a year. A third wine, Sucelles, is sourced from the same older vines, but this is produced in the cellar of the old converted barn at Tremblay; the wine being fermented in oak sourced from the Bois Rameau in Brinay and coopered by Fabien Gautier (himself a wine producer) in Menetou-Salon. Jean and Chantal are the largest ‘outside’ investor in the Reuilly appellation. 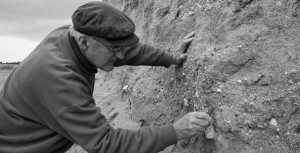 The initiative to plant vineyards here began in 1996 when Jean purchased 1.5ha in La Commanderie in Preuilly from his maternal family (who first acquired the land in 1873); it took him six years of battling with the authorities before he received permission to start planting Pinot Noir. In addition, he also purchased a small parcel in Les Lignis, just to the south of the town of Reuilly, and he has established Sauvignon Blanc and seven ares of Pinot Gris here. There are three separate wines produced; the white first appeared in 2006 and accounts for around 4,800 bottles a year, a Reuilly rosé from Pinot Gris (although Tatin doesn’t rule out adding between 10 and 15% Pinot Noir to ‘correct’ the colour). The rouge is all hand-picked and raised in Tronçais oak. The labels for Les Demoiselles Tatin were inspired by Les Trois Graces, a bronze by the late Angevin artist, Jacques Tempereau and, as the name suggests, the vineyards in Reuilly were planted with the next generation of Tatin-Wilks in mind; their youngest daughter, Maroussia, joined her parents in the business in 2010 at the age of 25. Whist Reuilly might have a single dominant figurehead in the form of Claude Lafond, the growers in Quincy appear much more egalitarian in their sense of responsibility for promoting their appellation. But if one man could be singled out as the most important proselytizer for Quincy it would be Jean Tatin. Since his return to the farm his work in researching the history, geography, topography and sociology of his native region makes him a walking work of reference. Aided by the strong willed and music loving Chantal, together they are one of the most important voices in these two appellations.